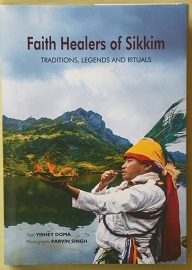 A book containing fascinating legends and rituals of various ethnic groups of Sikkim has been published recently which chronicles the faith healers of the State. The book, ‘Faith Healers of Sikkim: Traditions, Legends and Rituals’, has been written by a dedicated young Sikkimese writer and poet, Yishey Doma. The 286-page book having a passionate grass-roots level research and has twenty-two chapters, each embellished with some rare pictures of faith healers and their rituals taken by Parvin Singh, one of India’s diverse travel photojournalists. The book is amongst the first of its kind and aims to explore the deep connection all ethnic communities in Sikkim have with the elements of nature and how faith healing is an integral part of their day-to-day life. Every community in Sikkim has its own dhami/ jhankri (faith healer), a ritual specialist who is the first line of help for villagers to propitiate ancestors, benevolent deities and evil spirits, and cure both humans and animals of sickness and ill-health. The book explores the prayers and rituals performed by these ritual specialists to bring happiness, harmony, health and well-being to the individual, family and community. Faith healers of Sikkim also features significant steps taken by the State Government in recognizing religious diversity, and promoting and protecting traditional and cultural practices in Sikkim over the past two decades. 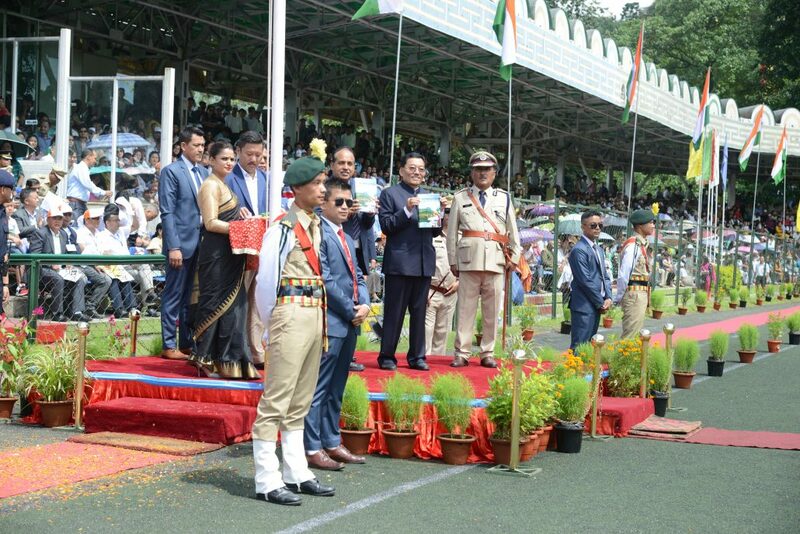 The book was launched by State Chief Minister Pawan Chamling on the occasion of Independence Day celebration on August 15 at Paljor Stadium in Gangtok.